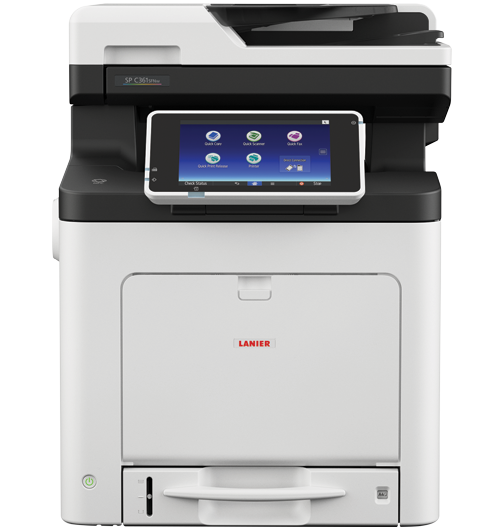 Get a low total cost of ownership (TCO) and print up to 30 pages per minute (ppm) with the Lanier SP C361SFNw Color LED Multifunction Printer (MFP). For small companies and teams of up to four people, the SP C361SFNw produces professional-quality color documents at up to 1200 x 1200 dpi-resolution letting you communicate more effectively. Plus, you'll enjoy a low cost per page (CPP) with high-yield supplies and monthly volumes of at least 1,500 pages.